2018 Taiwan Open World Junior Championships Called ON! CAPTION: Jinzun Harbour is looking the goods for the opening day of competition at the 2018 WSL World Junior Championships as part of the Taiwan Open of Surfing. Jinzun Harbour, Taitung/Taiwan (Saturday, December 3, 2018) – The 2018 Taiwan Open World Junior Championships have been called on at Jinzun Harbour. competitors in Men’s and women’s Round 1 will be treated to clean 2-to-4 foot waves on Day 1 of competition. The opening heat of the day will see Shino Matsuda (JPN) take on Samantha Sibley (USA) and Zoe Steyn (ZAF). One of the events favourites Alyssa Spencer (USA) will hit the water in Heat 4 of Round 1 where she will do battle with Keala Tomoda-Bannert (HAW) and Catalina Mercere. 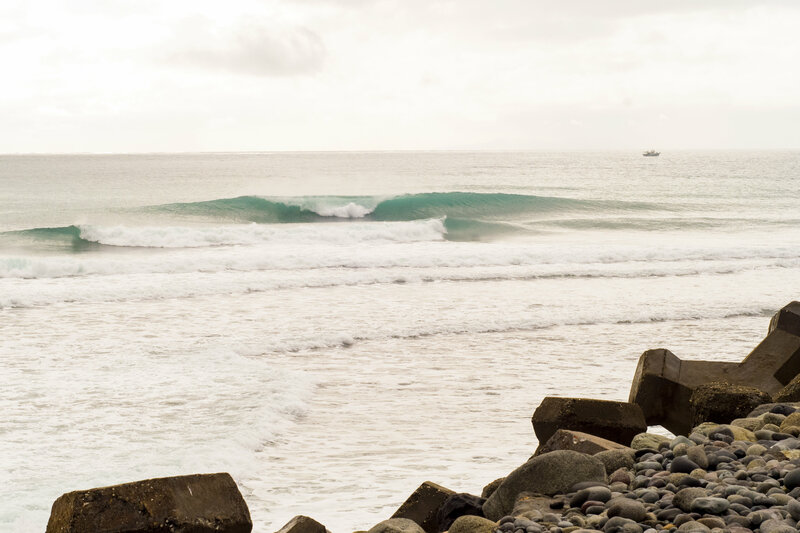 The 2018 WSL World Junior Championships will run in conjunction with the Taiwan Open of Surfing from December 1 – 9. Watch all of the action LIVE at worldsurfleague.com and on the free WSL App. Head here for more information, images, highlights and results.